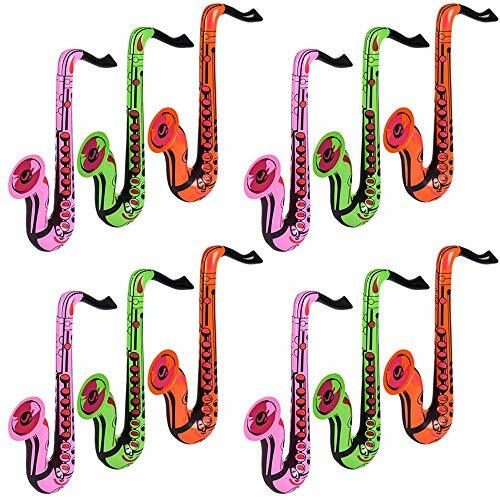 Break out the smooth jazz tunes and jam with our Inflatable Saxophones! 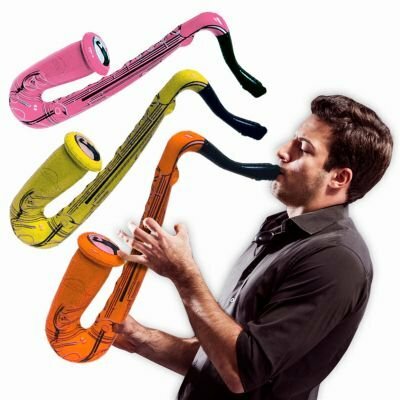 These 24-inch blow up saxophones are a great addition to any event, whether it's the Mardi Gras celebration on Bourbon Street, your local jazz festival, a school talent show, or karaoke night. 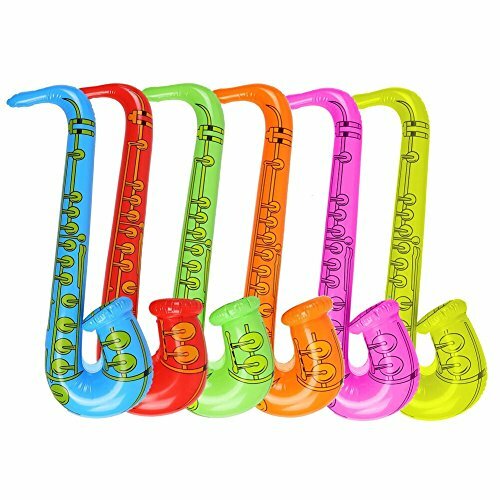 The perfect party favor or decoration for music themed event, our saxophone inflatables come in a variety of colors that will match any color scheme or party theme. Everyone is guaranteed to have a good time with these blow up saxophones! 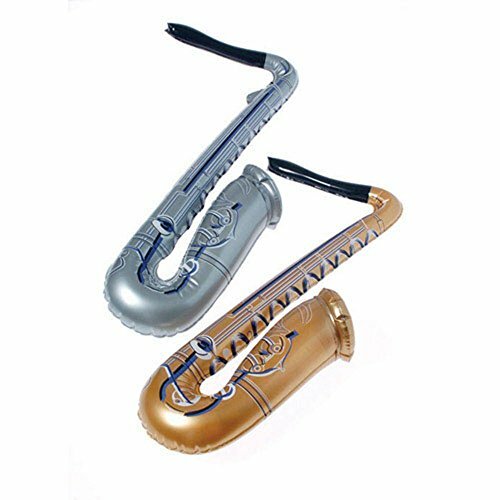 Our 24-inch Inflatable Saxophones are sold by the dozen. Includes:4 Inflatable Guitars,4 Inflatable Microphones,4 Shutter Shading Glasses and 1 Inflatable Saxophone. Color: Random color. Material: PVC.Inflatable toys made of high quality PVC plastic, easy to be inflated and durable. 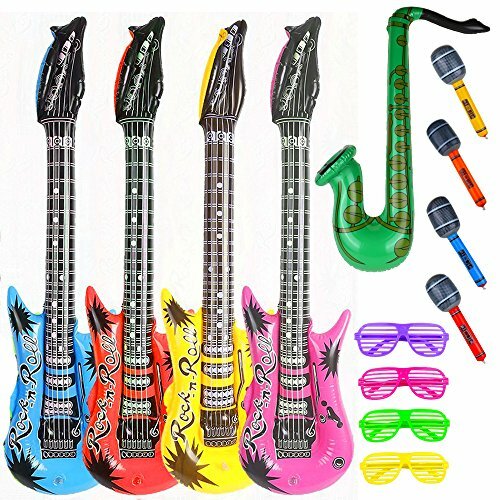 This set fit for rock star party, Halloween, festival, club and act as cosplay props for use. Perfect toy and gift for your children to have fun. 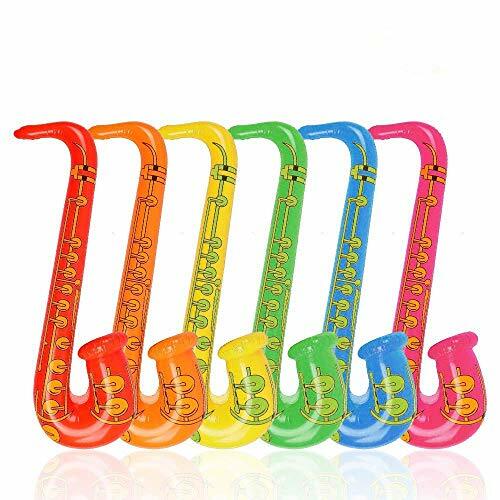 These lightweight saxophone inflates are practical replacements of heavy decorations in your party venue. Made out of latex, these inflatable balloons are easy to fill by using any balloon pump, while getting those muscles involved. It's like doing a mini-exercise! 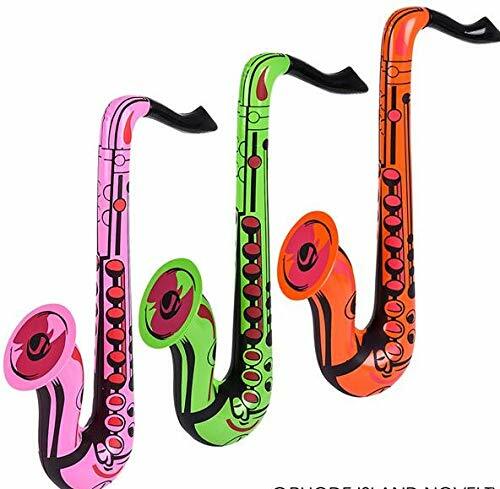 Featuring 3 different shades of neon classic colors, these saxophone inflatable balloons positively brings back that 50s and old school vibes to your party, whether it is a bachelorette, send-off, wedding or birthday party. 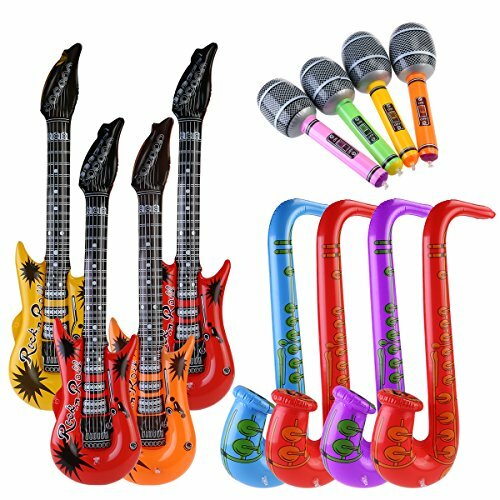 Kids age 3 plus as well as adults will rock in their pictures while holding these saxophone inflatable balloons, channeling your inner musician look. A great playtime toy for kids who might be interested in doing music later on in their lives. Grab yours now! Includes on toy inflatable saxophone. Colors will vary - gold or silver - no color choice. 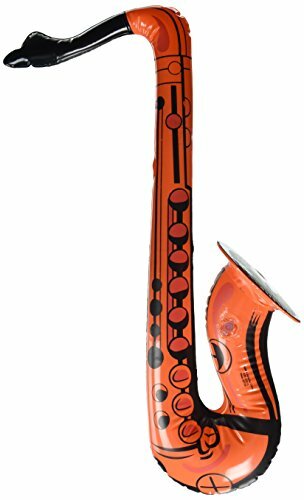 Inflatable plastic saxophone measures approx. 22" long. Personnel: Common Sense (vocals); Tony Orbach (saxophone); Lenny Underwood (keyboards); Kenny Aaronson (bass); Twilite Tone, Tarsha Jones (background vocals); Immenslope, Rayshel.Producers: Immenslope, The Beat Nuts, Twilite Tone.The first album by Chicago MC Common, CAN I BORROW A DOLLAR?, is widely accepted in hip-hop's underground as a classic. Raw cuts like "Blows to the Temple" demonstrate why, and give listeners a glimpse at a legend in the making.With CAN I BORROW A DOLLAR?, a younger, more careless Common was simply out to demonstrate his talents to a nation obsessed with New York and L.A. rap. The lo-fi beat structure of the album is reminiscent of the music of the early '90s, when heavy jazz and funk influences dominated East Coast hip-hop. Though the disc is layered with gritty beats and samples that now seem familiar, they seem vibrant when put into context with other material of the same era. The Beatnuts offer one of their early productions on "Heidi Hoe," a track that may shock listeners who are used to Common's more reflective, socially aware lyrics of today. While certainly not his best work, die-hard fans won't be disappointed.